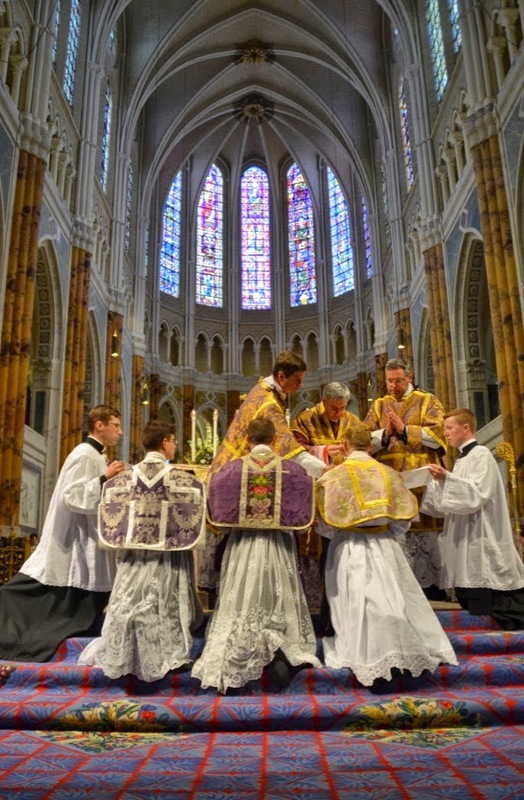 New Liturgical Movement: What Does Opposition to the Traditional Mass Really Signify? What Does Opposition to the Traditional Mass Really Signify? In the post-Summorum world, the ancient Roman Rite can no longer be considered forbidden, dubious, marginal, or obsolete. It enjoys equal rights of citizenship with the Novus Ordo: two forms of the Roman Rite—one called Ordinary because most recently promulgated and more widely used, the other called Extraordinary, the usus antiquior, deserving respect for its venerable use—with each able to be freely celebrated by any priest of the Roman Rite, no special permission needed. One would think that, as a gesture of reconciliation at the heart of the Church, the two forms would be flourishing side by side, with Catholics everywhere privileged to experience both of them offered reverently and beautifully. But this is still far from the reality, and, sadly, there are still far too many bishops and priests who oppose the traditional Mass, tether it with burdensome conditions, or resort to power politics to ensure that its supporters are duly warned and penalized for their rash embrace of our Catholic heritage. As we commemorate today the seventh anniversary of the implementation of Summorum Pontificum, whose provisions went into effect on September 14, 2007, it will be both edifying and sobering to consider the meaning Joseph Ratzinger himself attached to opposition to the traditional Mass. What does it mean when someone opposes this Mass, or those who celebrate it, or those who cherish it as a form of prayer dear to them? Ten years prior to Summorum, he was placing his finger on the crux of the matter. If the liturgy that was the Church’s holiest and highest possession for centuries, the object of total reverence and honor, the means of sanctification for countless Catholics, is suddenly forbidden, and if the desire to worship as our forefathers did is treated as wrong, what does that say about the Church herself, about her past, her tradition, her very saints? Truly, her credibility vanishes entirely, her proclamations become arbitrary diktats. Was there something fatally flawed, all this time, with our central act of worship? Were all the popes of the past who lovingly cultivated this liturgy mistaken, were all the missionaries who brought it around the globe misguided? Could they say, in the words of Gatherer, son of Vomiter, “I have not learned wisdom, and have not known the science of saints”? (Prov 30:1, 3, Douay). Here we have language strikingly akin to what we will find five years later in Pope Benedict’s Letter to the Bishops that accompanied Summorum Pontificum. Once again, we find the telltale insistence on possessing the right attitude towards the undying and life-giving heritage of the Church. The liturgical rites that arise from apostolic seeds in the Church’s sojourn through history are the fruits of Him who is the Lord and Giver of Life, and they cannot, in themselves, either die or bring death—nor can they be legitimately prohibited. What earlier generations held as sacred remains sacred and great for us too, and it cannot be all of a sudden entirely forbidden or even considered harmful. It behooves all of us to preserve the riches which have developed in the Church’s faith and prayer, and to give them their proper place. 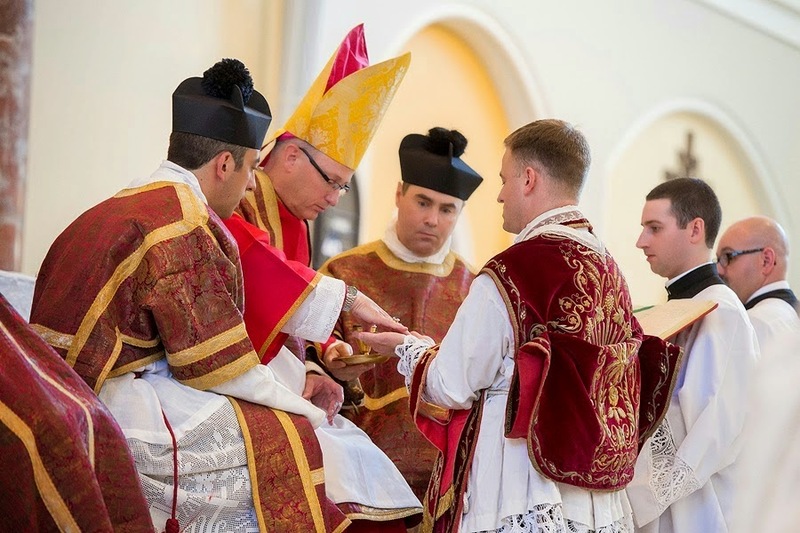 The giving of due honor, which translates into the actual celebration of the rite, is not an optional matter, and this is why we should politely refuse to allow ourselves or our fellow Catholics to be categorized as people with certain “preferences”: “Oh, you prefer the old and I prefer the new.” No, it goes beyond preferences to the very structure of the Catholic Faith: those things that are venerable and ancient must be given due honor; what earlier generations held as sacred must be sacred—and great!—for us, too; it is incumbent on us to preserve these riches and to make sure that they occupy their proper place in the life of the Church today. The Motu Proprio Summorum Pontificum constitutes an important expression of the Magisterium of the Roman Pontiff and of his munus of regulating and ordering the Church’s Sacred Liturgy. The Motu Proprio manifests his solicitude as Vicar of Christ and Supreme Pastor of the Universal Church, and has the aim of: (a) offering to all the faithful the Roman Liturgy in the Usus Antiquior, considered as a precious treasure to be preserved; (b) effectively guaranteeing and ensuring the use of the forma extraordinaria for all who ask for it, given that the use of the 1962 Roman Liturgy is a faculty generously granted for the good of the faithful and therefore is to be interpreted in a sense favorable to the faithful who are its principal addressees; (c) promoting reconciliation at the heart of the Church. With these points established, we can readily see why any move to obstruct or diminish the presence of the usus antiquior in the Church today would only cause great harm and long-term damage. First, it would be an act and a symptom of disobedience, which is never blessed by God and always punished by Him. More specifically, it would constitute disobedience to Pope Benedict XVI’s legal provisions in Summorum Pontificum (and their clarifications in Universae Ecclesiae), as well as to St. John Paul II’s well-known statement that “respect must everywhere be shown for the feelings of all those who are attached to the Latin liturgical tradition, by a wide and generous application of the directives already issued some time ago by the Apostolic See for the use of the Roman Missal according to the typical edition of 1962.” As has been demonstrated above, it is not enough to refrain from bad mouthing the traditional sacramental rites; they must be known and loved, re-introduced and promoted, studied in seminaries, offered generously to the faithful as a precious treasure. Second, and more profoundly, divine worship goes to the heart of a person’s spiritual life, that which is most intimate and cherished. Any refusal to share the treasures of the Church, any heavy-handed restrictions on what is already available (or should be available), can only provoke anger, disappointment, and mistrust, hurting the Church’s unity, which is a fragile good of enormous value. Certain bishops, priests, and laymen may have no great love for the Extraordinary Form themselves, but they ought to recognize and respect the sizeable minority of Catholics who do, and appreciate that depriving them of it, or begrudging it to them, is pretty nearly the most offensive thing that could be done—rather like slapping a man’s wife, mother, or grandmother. To be blunt, those who sincerely want peace and mutual understanding had better act generously or they may end up with another ecclesiastical Cold War on their hands. Who wants that? It does not require a degree in nuclear physics to see that a significant and growing number of Catholics are flocking to parishes and chapels where the traditional Mass is being celebrated, and with their (on average) very large families and strong commitment to homeschooling, the future belongs to them. In 1988 there were about 20 weekly Sunday TLMs; today there are over 500. There is no reason to fight this movement, and every reason to support it. In spite of the anxieties of some who find it difficult to give peace and mutual coexistence a chance, the Extraordinary Form is not a problem for the Church, and, as Ratzinger/Benedict helps us to see, never could be a problem in and of itself. Instead, one may encounter unfortunate traditionalist attitudes that alienate or provoke—and, to be quite fair, this cuts both ways, since the promoters of the Novus Ordo frequently exhibit offensive attitudes of their own, such as a peculiar fusion of theoretical liberalism and practical totalitarianism. The thing to do is not jealously to limit and control the usus antiquior as if it were a dangerous addictive substance, an approach that only fuels those unfortunate attitudes, but to teach and model a right attitude, receiving with open arms, with humility and childlike simplicity, all that the Church herself gives, so that it becomes something normal and natural, not something forbidden (and thus, perhaps, more alluring? ), controversial, or divisive. I think of a sentence in the Second Letter to the Corinthians, where Paul writes: “Our mouth is open to you, Corinthians; our heart is wide. You are not restricted by us, but you are restricted in your own affections. In return … widen your hearts also!” (2 Cor 6:11-13). Paul was certainly speaking in another context, but his exhortation can and must touch us too, precisely on this subject. Let us generously open our hearts and make room for everything that the faith itself allows.